Historian. Emeritus professor of the Department of History, Archaeology and Social Anthropology, University of Thessaly. 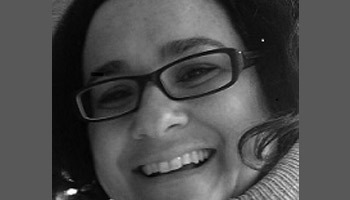 Georgia Alexandri is a Juan de la Cierva post-doctoral researcher at the Universidad Autonóma de Madrid (UAM). 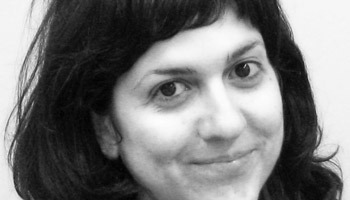 After researching gentrification in Athens, she was awarded a Phd in Social Geography from the Department of Geography, Harokopio University in Athens. She holds a MSc in Planning and Sustainability from Cardiff University and a degree in Economic Theory from the Athens University of Economics and Business. 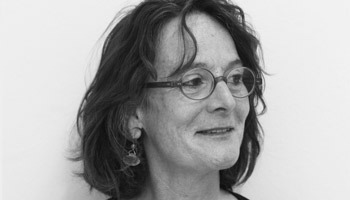 Her main research interests focus on processes of socio-spatial injustice and dispossession such as gentrification, financialisation of the housing markets and fear of the “Other”. Political scientist. Holds a Ph.D. from the School of Architecture, National Technical University of Athens. He, also, holds a Master’s degree in Political Science and Sociology (National and Kapodistrian University of Athens), in Architectural Design-Space-Culture (National Technical University of Athens), and in Urban and Regional Planning (National Technical University of Athens). His scientific interest is focused on comparative literature of the Greek interwar period using spatial concepts emerging from texts of contemporary social theory as primary tools. Since 2000, he works at the Hellenic Agency for Local Development and Local Government S.A. as responsible of social policy programs. Social geographer, associate professor at the Dept of Social Policy, Panteion University of Social and Political Science, Athens. Her research interests and publications focus on rural restructuring processes, family farming, localised agrifood systems and specific territorial resources (member of the ERG-SYAL). The last years she works on Alternative Food Networks and new relationships between the urban and the rural (short supply chains, urban gardening, community supported agriculture, ‘without intermediaries’ movements). Architect and Post-doc Research Fellow in the Geography department, University of Leeds, where she received her PhD degree in Human and Social Geography (2015). Master’s degree (MSc, Hons) in ‘Urban Studies’, University of Amsterdam (2010) and Diploma (MA, Hons) in Architecture, Aristotle University of Thessaloniki (2008). Her research interests are focused on socio-spatial inequalities, urban politics and urban social movements. They also include methodological approaches in Human and Social Geography that promote participatory and collaborative ways of scholarly engagement with social groups, local communities and movements. 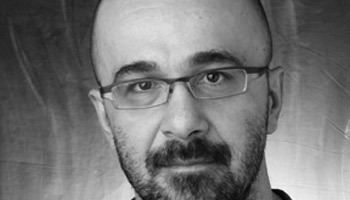 Associate Professor of Urban Planning at School of Architecture NTUA and Director of Urban Environment Lab NTUA (EnvLab). Coordinator of Lavrion Techonogical Cultural Park project (1994-1997) and director of Ermoupolis Industrial Museum (2000). Architect, collaborating with Vaso Trova, of Greek Film Archive Building. Scientific director of EnvLab projects (e.g. Hellinikon Metropolitan Park, Elefsina Coastal zone). Member of international committees for listed monuments and ICOMOS scientific evaluator of UNESCO Word Heritage List. Has been awarded twice in international architectural competitions. 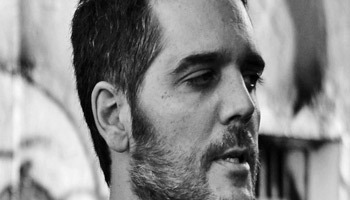 Panagiotis Bourlessas completed his undergraduate studies at the Athens University of Economics. Afterwards he departed —both literally and figuratively— for a European post-graduate programme in Urban Studies, held by six universities in four capital cities of the contnent. The last year he has settled in the wounded city of L’Aquila, Italy, as a doctorate candidate at the Social Sciences unit of the Gran Sasso Science Institute; from there he will depart in two years. Instantaneously, his interests are located in the fields of cultural geography: space, meaning, ideology, inequality, landscape. After each departure, he returns to Athens. Eugenia Bournova was born in Larissa (Greece) in 1958. She studied History in the University of Lyon II and she obtained her PhD from the same University in 1986. She teaches economic and social history and urban history in the Department of Economics in the National and Kapodistrian University of Athens where she is now an Associate Professor. 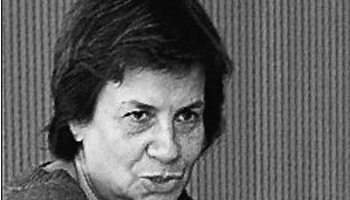 Her research interests are in 20th century Greek urban society and more particularly in population history, socio-professional structures, public health and real estate market in Athens. 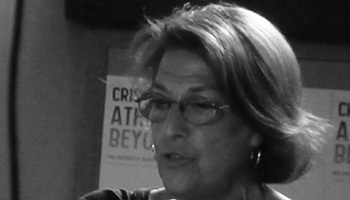 Roxane Caftanzoglou is a social anthropologist and Research Director at the National Centre for Social Research. Her fields of interest and publications concern family history, the anthropology of space, representations of the past, material culture and cultural consumption. She has published the books Domestic Organization and Kinship: Syrrako 1898-1929 (1997), Families of the Past. Historical Forms of Kinship in western Europe and the Balkans (1996), Boundaries and Margins. Inclusion and Exclusion (2000), The Shadow of the Sacred Rock. Place and Memory in Anafiotika (2001). Associate Professor in the department of Geography (former head of the department), Harokopion University of Athens. His research concentrates on Geographic Information Science, Applied Geography, Spatial Analysis with the use of Geoinformatics, GIS-based modeling of Natural Disasters as well as Digital Cartography. He has published significant number of scientific articles and books on these issues. 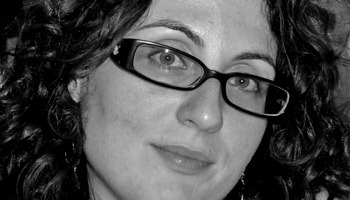 Evangelia Chatzikonstantinou is an architect (AUTH) with a MSc in Urban and Regional Planning and a PhD in Urban History (NTUA). Her dissertation discusses the socio-spatial dynamics that made roads one of the most important symbols of the Greek modernization. 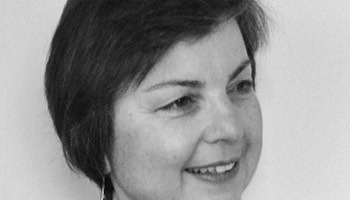 Her research focuses on urban history, critical geography and environmental planning. She has participated in several research projects at Urban Environment Laboratory NTUA, has worked at the Organization for the Regulatory Plan of Athens and has taught urban history, planning and sustainability at NTUA, National and Kapodistrian University of Athens and College Year in Athens. Professor at the Department of Maritime Studies of the University of Piraeus, teaching port and maritime transport courses. His research activities have been centred on issues of Port Administration and Organisation as well as overall issues of maritime transport organization of Ports. His book “European Port Policy: Towards a Long Term Strategy” has been acclaimed as a ground breaking book on European Port Policy and has been translated in various languages. He is an influencing expert in Port Strategy and Management with more than 70 papers in leading shipping and maritime journals including Maritime Policy & Management, European Transport Trasporti Europei, European Journal of Transport and Infrastructure Research, World Transport Policy and Practice, IAME, etc. His professional activities include consulting for leading organizations and companies as well as C-level managerial positions. Associate Professor at the Department of Geography, University of the Aegean. He has taught at the LSE and has researched at the Institute of Urban and Regional Development, University of California, Berkeley (Fulbright Visiting Scholar). His academic interests focus on the themes of European Integration, urban competitiveness and sprawl, participatory governance and social exclusion. MSc Architect – Urban Planner NTUA, PhD candidate of the School of Architecture, NTUA. Currently working as a researcher at the Laboratory of Urban Environment, NTUA and also active in the private sector. Main research interests include the examination of the shaping of the urban environment under given pressures, by looking into the successive changes in the structure of the city and the contributing factors. The ultimate goal of the research is to strengthen the ability to apply sustainable and resilient planning of the city. BSc in Spatial Planning and Development at the Aristotle University of Thessaloniki. Diploma thesis entitled “Urban social movements and their spatial dimensions: the case of self-managed social centers in Thessaloniki”, presented in 2015. Internship at the National Centre for Social Research, concerning the international program «Governing Urban Diversity: Creating Social Cohesion, Social Mobility and Economic Performance in Today’s Hyper-diversified Cities” (DIVERSITIES) and the program “Socioeconomic Class, Social Status and Consumption: Stratification, Mobility and Urban Consumption in Athens” (SECSTACON). Professor of Human Biology in the Department of Dietetics-Nutrition in Harokopio University of Athens. He received his bachelor of Biology from the University of Patras and his MSc in Biotechnology from the University of Compiegne in France. He received his PhD from the Medical School of Athens. In 2004 he was nominated Fulbright fellow and worked for three months in the Medical school of Harvard University in Boston. He is the institutional coordinator of the Erasmus program and Vice-President of the university council. He has been participant or coordinator in European and national grants. He has authored and co-authored more than 210 papers in peer-reviewed journals very prestigious like Nature, Nature Genetics, with a number of citations >11000. Professor, Harokopio University, Department of Geography. Has worked at the National Technical University of Athens and the University of the Aegean. Has also worked at IFRESI/CNRS-Lille and taught in post-graduate courses in Europe; has published numerous articles, book chapters and books and coordinated research programmes. Member of expert groups and scientific committees. Academic/research interests: Land Values and Real Estate, Spatial Planning, Urban Vulnerability and Disaster Management. Visiting professor at KU Leuven and École d’Ingénieurs Polytechnique de l’Université de Tours. 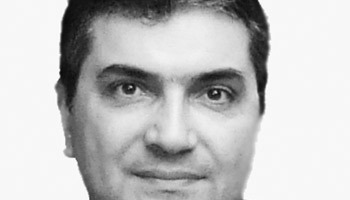 Professor of Urban and Leisure Planning at the Department of Planning and Regional Development, School of Engineering, University of Thessaly. He is the director of the Laboratory of Tourism Planning, Research and Policy, as well as of the Postgraduate Programme ‘Planning and Development of Tourism and Culture’. He has professional experience since 1986, research experience since 1988, teaching experience since 1996. He has scientific publications in journals, books, conference proceedings, etc. His work covers issues of tourism, culture, sport, place marketing, event planning, urban planning, urban regeneration, etc. Statistician who holds a Ph.D. degree in Spatial Statistical Analysis from the Department of Geography of Harokopio University. He studied Statistics from the Department of Statistics and Insurance Science (UNIPI) and, moreover holds a graduate degree in Applied Statistics of the Department of Statistics and Insurance Science (UNIPI). His scientific interests mainly focus on spatial statistical analysis, econometric methods of statistics, social statistics, and time series forecasting with large datasets. He has articles in scientific journals and conferences as well as a chapter in a scientific book. It has provided teaching assistance in statistical methods at both undergraduate and postgraduate level in the Department of Geography of Harokopio University. 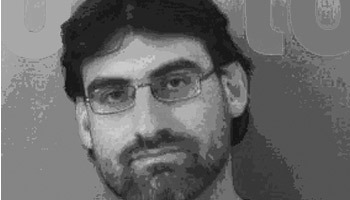 He works in the Private Sector as Data Scientist manipulating and analyzing large databases. 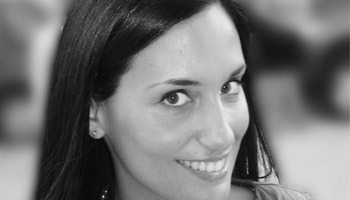 Maria (Melina) Dimitriou studied at Harokopio University of Athens, where she obtained a degree in Nutrition and Dietetics with distinction. She received a scholarship for postgraduate studies at the University of Glasgow. She has worked as research and teaching associate (clinical internship instructor) at Harokopio University. She is currently a PhD student at Harokopio University and her research interests mainly include genetic susceptibility and dietary patterns in coronary artery disease. She also practices dietetics (private practice). Historian researcher. She completed her graduate studies in Athens in 2001 (BA in Economics, University of Athens) and in 2008, she submitted her PhD thesis entitled “Athènes au XIXe siècle: de la bourgade à la capitale” (PhD d’Histoire, University Lumière Lyon II). 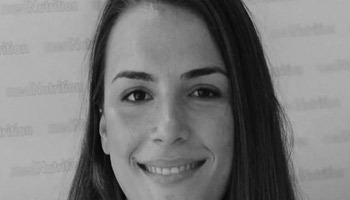 From 2009 she is a research associate at the University of Athens and from 2013 she is working as a researcher at the Captain Vassilis Foundation. She is mainly interested in issues of demography, socio-professional structure, social segregation and housing. Dimitris Emmanuel has studied Architecture in NTU, Athens, received a M.Sc. and a Ph.D. from LSE and has since mainly worked on the social and economic analysis of housing and urban development and, more recently, on social classes and urban consumption. He has been the Head of Research and Housing Policy Studies in DEPOS (1979-2003) and since 2004, a research director in EKKE. 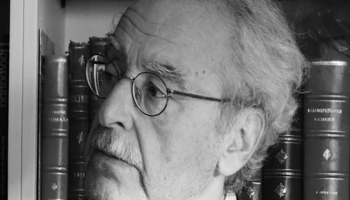 His more recent publications include Supply of Planned Land, Housing and Prices in Athens (1984-2004), Athens, NCSR, 2008. Received her PhD from the Department of Geography of Harokopio University. She holds a Bachelor’s degree from the same department and a MSc in Geoinformatics (School of Rural and Surveying Engineering, NTUA). Her PhD thesis is about applied geoinformatics in geographic information management and the assessment of quality of life in local government units. Her research interests are focused on applied geography and Geographic Information Systems. Sociologist of Education, emeritus professor, University of Athens. 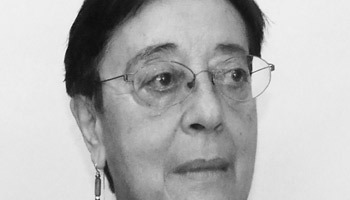 Social inequality and cultural alterity in education, history of educational ideas and historic ‘bilingualism’, and school’s ethnocentrism are the main fields of her research work and publications. Her last book (2013) is Nationalism and the rise of the extreme Right (Alexandria publishers). Second year Master student in geoinformatics at the Department of Physical Geography and Ecosystem Science in Lund. Holder of a Bachelor’s degree in Geography from Harokopeio University of Athens. His Bachelor thesis relates to the spatial analysis of the double parliamentary election results of 2012. His research interests focus on the areas of spatial analysis, real estate, electoral geography and Geographic Information Systems. Bachelor’s degree in Geography, Harokopio University. Her thesis was related to cinema and focused particularly on registering and dynamically mapping all changes in movie theatres (openings and closures) between 1950 and 2015 in Athens Metropolitan Region. The changes in the spatial pattern of movie theatres over this long period has helped to elaborate on the relation between the changing place of cinema in leisure activities and the spatial distribution of movie theatres in a city experiencing fast growth (1950-1980) and stability (1980-2015). Associate Professor and Director of the postgraduate program “Gender, Culture and Society” at the Department of Social Anthropology and History of University of the Aegean. He taught as Visiting Professor at the Universities of Stockholm, Gothenburg and Paris. 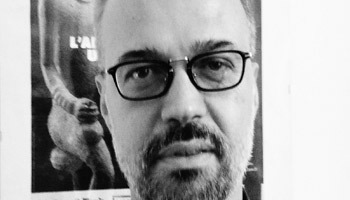 His research interests focus on gender, sexuality, sports, health, the relation between anthropology and psychoanalysis, urban space, politics of difference and queer history in post-war Greece. PhD in Social Anthropology from Columbia University, New York. Assistant Professor of Urban Anthropology, Sociology Department, University of Crete. 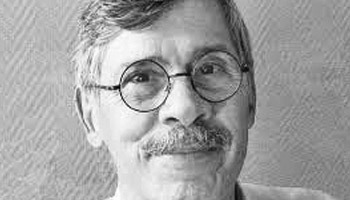 His previous research, initially in New York City, has dealt with homelessness, substance use and the AIDS epidemic, and the role of psychiatry and mental health policy in addressing urban social problems. More recently, he has been researching homelessness in Athens, Greece. 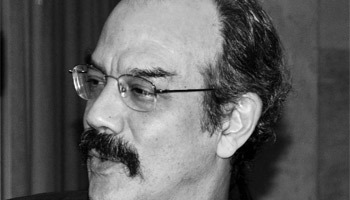 His publications and research interests to date have focused on the survival strategies of the new urban poor and the emergence of new institutional arrangements and disciplinary mechanisms aimed at the domestication of urban marginality. Assistant professor at the School of Spatial Planning and Development, in Aristotle University of Thessaloniki and Collaborative Professor at the Hellenic Open University. 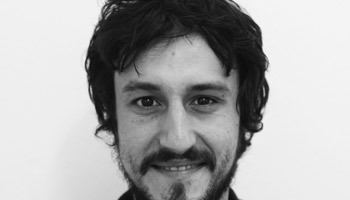 His research interests include Geography, Spatial development, Diverse economies, Alternative economic and political spaces, Commons, Social and solidarity economy. He has a considerable experience in research design and implementation of both qualitative and quantitative as well as comparative methods of Geography. He is author of many articles in scientific journals, books and conference proceedings. Emeritus Professor, Department of Geography, Harokopio University. 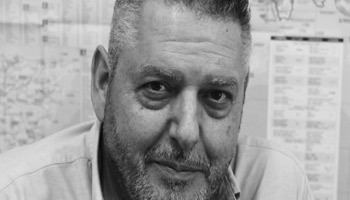 He also taught as Assistant and Associate Professor at the Department of Urban and Regional Planning, School of Architecture, Aristotle University of Thessaloniki. Visiting professor at several universities in Europe, the US and Australia. He studied architecture in Athens at the NTUA where he continued with postgraduate studies in architectural theory. The transformations of the built environment and transitions in the daily experience of the city form a key focus area in his work. 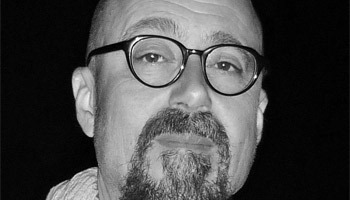 He has participated in research projects and studies for Athens and its city center (NTUA, RA Lab, Rethink Athens) and works of his have been exhibited in group shows; art and architecture (DOMES PANORAMA 2014, Athens Biennale 5to6). He Lives and works in Athens and is a PhD student at the School of Architecture, NTUA. Manina Kakepaki is a researcher at the National Centre for Social Research (EKKE) since 2010. She has studied in Athens (Bachelor’s Degree, PhD) and Essex (MA Political Behaviour) and was a Post-Doctoral Fellow at the University of Athens researching gender differences on political values and attitudes. Her current research intersects include aspects of youth political socialization, political participation and elite representation. She has participated in more than 20 national and international research projects. 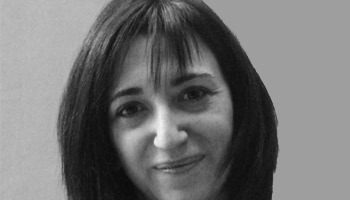 She is on the editorial board of the Greek Review of Social Research. Dietitian – Nutritionist, PhD candidate at the Department of Nutrition & Dietetics, Harokopio University of Athens. She holds an MSc degree from University College London (UCL), UK. Her research interests are gene-environment interactions and their effect on human’s health. She has been trained on statistical genetics at Wellcome Trust Sanger Institute, UK and she has participated in several research projects. 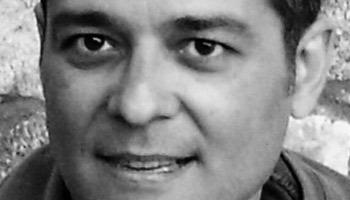 Research Director at the Institute of Historical Research of the National Hellenic Research Foundation, coordinator of the Research Division of Political History and former director of the Program «Historical Study of Settlements in Greece». 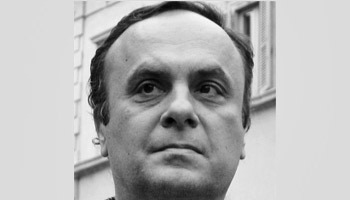 His research interests include: Political, Social and Economic History, 19th-20th centuries; History of Athens (focusing on architecture, urbanism and its function as scenery for political activities and conflicts); Study of the Dictatorship 1967-1974. PhD Candidate of the Department of Geography at Harokopio University. His research interests are focused on Applied Geoinformatics, the creation of Spatial Data Infrastructures, Spatial Analysis using Geoinformatics, the Modeling of Natural Disasters (mainly Floods) and Digital Cartography. He has participated in numerous research projects and has written articles in scientific journals, chapters in scientific books and in scientific conferences. In recent years, he has been providing supplementary teaching at undergraduate and postgraduate levels at the Department of Geography (Harokopio University). Assistant Professor in Applied Spatial Analysis, Department of Geography, Harokopio University of Athens. Having twenty years of experience in computer programming and GIS he has developed the R package lctools. His publication record includes numerous basic and applied spatial analysis studies in geography and demography. He mainly looks at migration; population ageing; spatial inequalities; human poverty and geocomputation applications. He strongly supports open source software and creative commons. As practicing architect of diverse projects, Maria Kaltsa shared the 1st prize for the rehabilitation design of the 3 km zone around the Acropolis and received a 1st prize for the design of a new landmark for Thessaloniki. As former General Secretary (2009-2012) of the Environment, Energy & Climate Change Ministry, she contributed to drafting a greener Building Code, integrated programs and policies for sustainable urban development, RE-THINK ATHENS, and the Faliro Bay metropolitan park. She has focused on lagging areas of central Athens and was the local collaborator for REACTIVATE ATHENS-101 IDEAS. Graphic Arts degree (College Vacalo), Photography BA (TEI Athens), MA “Image and Communication” Goldsmiths’ (University of London), (scholarship Greek State Foundations), PhD (2010) in “Media, Communication and Culture” Panteion University, Athens. 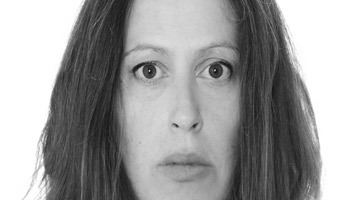 She works in the field of Photography as a photographer of antiquities and archive work, a writer and a tutor (TEI Athens-DIEK). She has presented work in many exhibitions and conferences in Greece and abroad, that has been distinguished and published in various media. 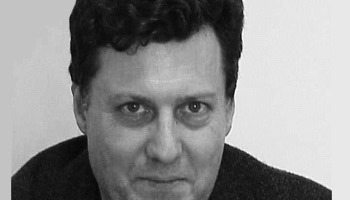 George Kandylis is a Research Fellow at the National Centre for Social Research, Athens. He received his PhD form the University of Thessaly. 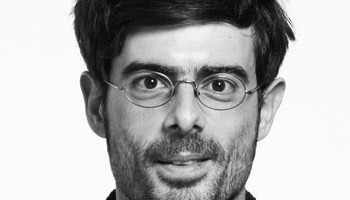 He has mainly worked in research on contemporary immigration in Greece and its impact in urbanization processes. His areas of interest include social segregation and inequalities, mobility, racism and securitization in the Greek cities. 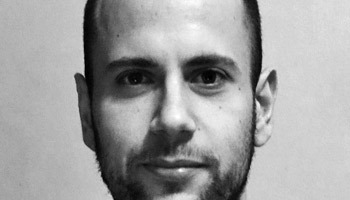 George Kaparos is a doctoral researcher in the University of Thessaly, studying uncertainty and complexity in megaprojects. 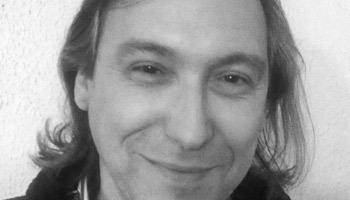 As a PhD scholar of the OMEGA Centre in Transport and Development, led by University College London, he has been the main researcher of the Greek megaprojects’ case studies. He has professional and research experience in the fields of project finance, business planning and entrepreneurship education. He is a Computer Engineer holding an MBA and an MSc in Planning and Development. BSc Mathematics, BSc Informatics, MSc Geoinformatics. She is PhD Student in Harokopio University, Department of Geography. She is preparing her PhD thesis on the Geography of Education. Her research interests include GIS, Spatial Analysis and Spatial Interaction Models. She is High School Mathematics and Informatics Teacher. Adjunct Lecturer at the Department of Planning and Regional Development, University of Thessaly in Volos and lecturer at the post-graduate programme in Cultural Management at the Hellenic Open University. He holds a PhD in Economic and Regional Development and a Master degree in European Urban Cultures. He has a strong interest in analysing the trends and dynamics between culture, tourism and spatial development processes, using an interdisciplinary approach and perspective. 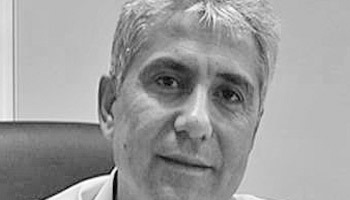 Dimitris N. Karidis is an architect, a Professor at the School of Architecture of the National Technical University of Athens. His last book is entitled ‘Athens, from 1456 to 1920 – the town under Ottoman rule and the 19th century capital city’ (Oxford 2014). Architect with MSc in ‘Urban and Regional Planning’. Ph.D. Candidate of the Department of Planning and Regional Development of the University of Thessaly. 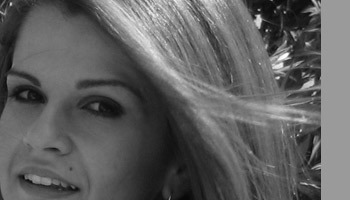 As a researcher in Laboratory of Tourism Planning, Research and Policy she has participated in the Strategic Marketing Plan of Larissa, Strategic Marketing Plan of Kozani, etc. 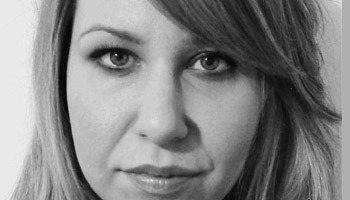 Her research interests focus on the interaction of the concepts of landscape and Place Marketing. 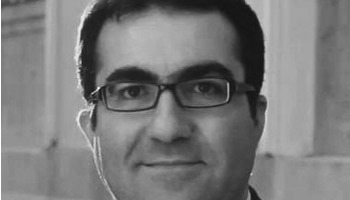 Dr Karolos Iosif Kavoulakos is lecturer at the Department of Political Sciences of Aristotle University of Thessaloniki. He has participated in several research projects in the following research areas: civil society, social movements, urban sociology, social cohesion, gender policy. 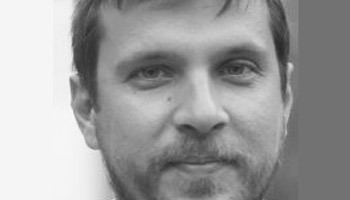 He has recently conducted surveys and researches on contemporary alternative economic and political spaces and social movements in Greece. 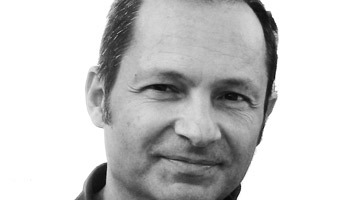 Orestes Kolokouris is a Geographer-Environmentalist, Ph.D Candidate at Panteion Univeristy of Athens. Born in 1981, studied in England and France Environmental Science, Engineering and Geography. His Ph.D research focuses in Environmental Conflicts in peri-urban areas . Supervisor deputy Proffessor Th. Anthopoulou. He is participating in research network “Foncimed” based in Montpellier and participates in the network coordinated by AgroPariTech that aims to promote the mapping, identification and measurement of Land-use Conflicts. Parliamentrary Assistant for the Greek Green Party. 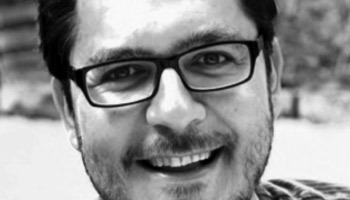 Nikos Kourachanis (Athens, 1987) is a Postdoctoral Fellow of Social Policy at Panteion University. His research interests focus on social policies for vulnerable groups, such as homeless, migrants and refugees. 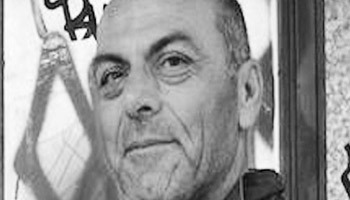 He is the author of the books Homelessness and Social Exclusion in Crisis Greece (Topos, 2017 along with the Professor Despina Papadopoulou) and Homelessness Policies (Papazisis, 2017). He teaches Social Policy at Panteion University and University of the Peloponnese. 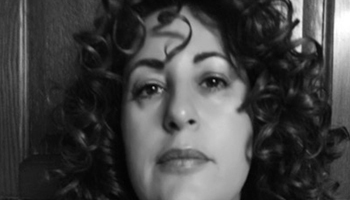 Chrysa Kousoulenti is a social worker. She completed her postgraduate studies (MA) «Methodology and applications in social policy” at the Department of Social Policy of Panteion University. Her thesis was entitled “Social dispensaries and pharmacies as a new social and political form action. The case of the Greek Metropolitan Social Clinic”. Her research interests focus on innovative actions, initiatives and structures that develop and take a movement dynamic opposed to the dominant socio-economic model. She has presented aspects of her research work in seminars and conferences. Architect (NTUA), MSc in Urban and Regional Planning (NTUA). Her research interests include the present and future of the dominant type of building in Athens, the block of flats, known as the polykatoikia, which was developed intensively in the 1950s to 1970s. In her undergraduate and postgraduate studies, she researched the potential of improving the living conditions in the Athenian polykatoikia, the social relations developed among the residents, the ownership imprint of the building on the urban sprawl and more. 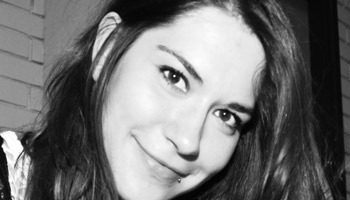 Georgia Lalou is an architect engineer AUTH and holds a MSc in Urban and Regional Planning. She is currently a PhD candidate at the Department of Planning and Regional Development, University of Thessaly. The topic of the thesis is about the integration of marketing and branding strategies to the creative city approach. 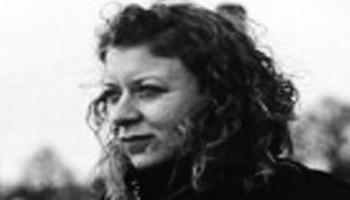 She is also a researcher at the Laboratory of Tourism Planning Research and Policy and participated in programs involving urban interventions and image making in Greek cities. 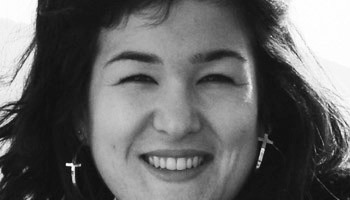 Her research interests concern marketing and branding strategies, cities’ creative identity and the contribution of the creative and cultural industries to urban development. Post doc researcher for ERC in GRECO project, Department of Anthropology, University of Barcelona. She has studied Economic and Urban Development in Panteion University and got her master degree on Urban and Regional Planning, in the National Technical University of Athens. She finished her PhD in 2014 on “Transnational Geographies of Migration” with professor Costis Hadjimichalis in Harokopeio University. She has been employed in several research projects mainly around the issues of migration, borders, urban space and gender while her most recent work focuses on the economic crisis in the South of Europe. 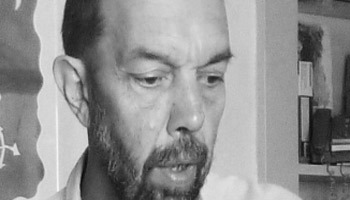 Architect, Planner and Geographer (Dipl.Arch EMP, Athens, M.Sc LSE, PhD Univ.London), Visiting Professor of Mediterranean Studies at the University of Peloponnese, Senior Fellow at the LSE (UK) since 2012 and at the JHU (USA) 1986. 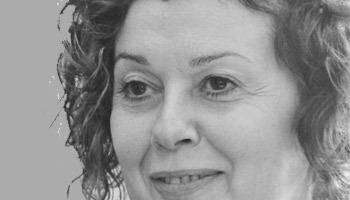 She has held permanent teaching posts at four Greek Universities and a British one (KCL), has been elected Head of Department and/ or Dean, has held visiting Professorships in 2 French Universities, and has been a founding member of the first Geography Department in Greece (University of the Aegean). She has published about 200 scholarly books, articles and monographs in Greek, English and French, and some of her works have been translated into Spanish, Italian, German and Japanese. She has authored The Mediterranean City in Transition (Cambridge U.P. 1990/2006), Cities of Silence (in Greek, Athens 1989/2013), Geographically Illiterate Land (in Greek, Athens 2005/2011) and co-edited Mediterranean Tourism (Routledge 2001), Urban Sprawl in Europe (Blackwell 2007) and other volumes. Graduate of the School of Philosophy, Pedagogy and Psychology of the Aristotle University, with postgraduate training in Open and Distance Education. After graduating from the National School of Public Administration, she went on to work for the General Secretariat for Research and Technology dealing with issues of brain drain, the European Union and primarily administrative and financial supervision of research and technological institutions. 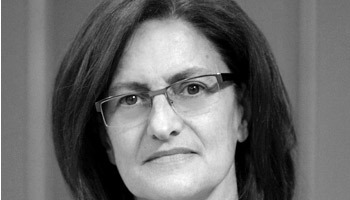 She was the secretary of the National Research Council (2005-2010) and National Contact Point for the EU Joint Research Center throughout the 7th Framework Programme.